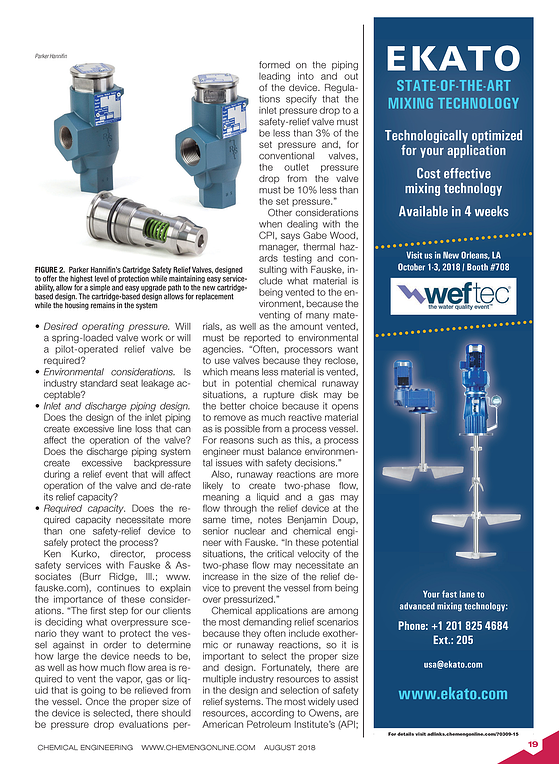 Chemical Engineering's August 2018 issue includes this article regarding the important of size and select pressure-relief devices being key to ensuring the safety of your facility. 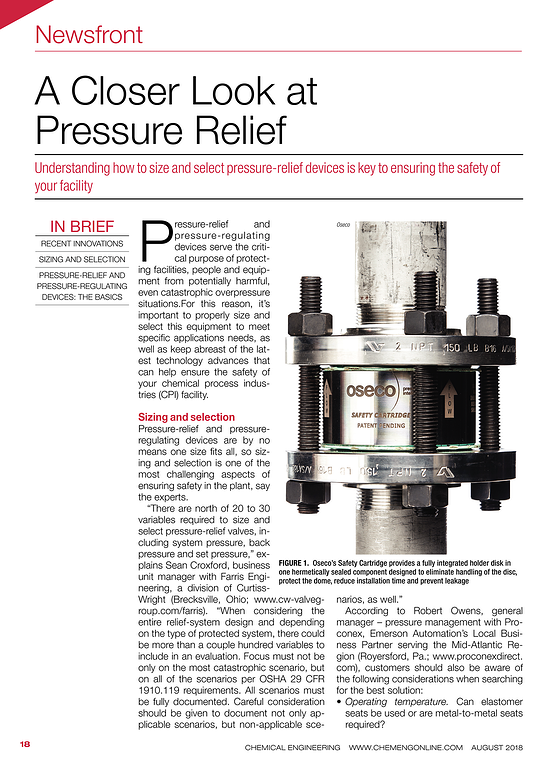 "Pressure-relief and pressure-regulating devices are by no means one size fits all, so sizing and selection is one of the most challenging aspects of ensuring safety in the plant, say the experts," per Joy LePree with CE. 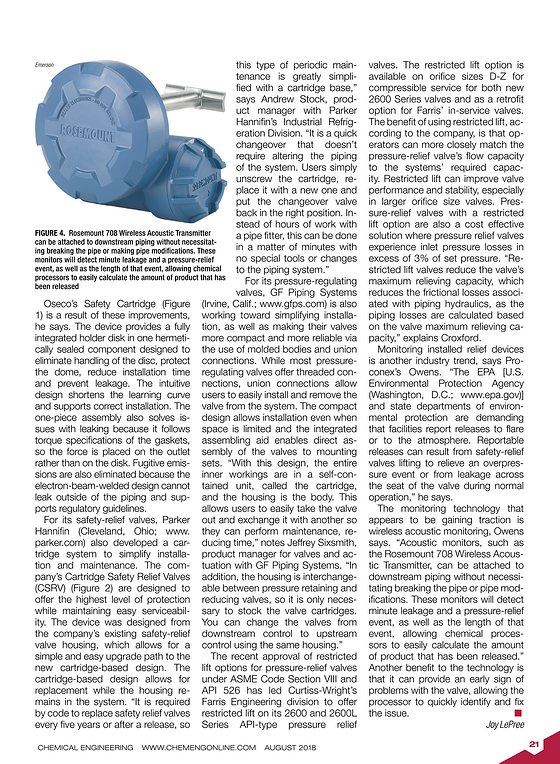 Subject matter experts Ken Kurko, Process Safety Services Director, Dr. Benjamin Doup, Senior Nuclear and Chemical Engineer and Gabe Wood, Thermal Hazards Testing and Consulting Manager with Fauske & Associates, LLC (FAI) contribute. 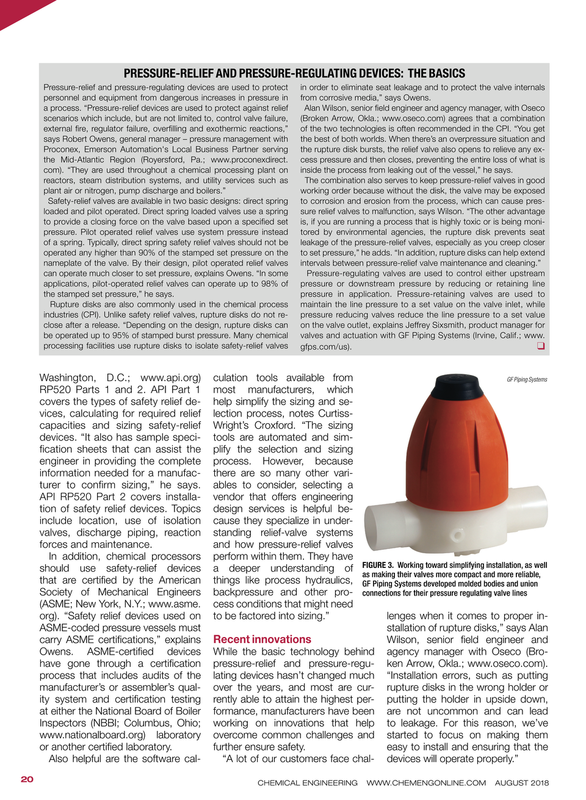 FAI is the global leader in relief system design assuming early leadership roles in the acclaimed DIERS program for AIChE and the IDCOR program for the nuclear power industries. These activities led to state-of-the-art methodology and laboratory tools for characterizing chemical systems and computer models for analyzing severe accidents in commercial nuclear power plants used worldwide.